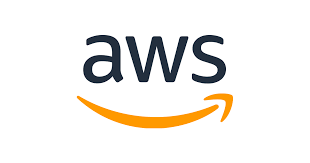 DESCRIPTIONThis is an exciting opportunity to join Amazon's world class technical team in either Herndon VA, or Seattle WA! Come work with some of the best and brightest engineers and technical managers while also developing your skills and furthering your career within one of the most innovative technology companies anywhere. How do you know if you are a good fit for us? You want to automate common and complex tasks in distributed fault-tolerant systems that operate at scale. You love to dive deep into data to identify the root causes of issues impacting performance and availability. You find data center build-outs, performance engineering, and other scaling activities to be a joy. Finally, you insist upon giving customers what they want: high quality, highly usable, always-on services. The perfect candidate will have deep experience working with Linux, preferably in large scale, distributed environments; and be very comfortable with networking and distributed architecture topics. You will have enthusiasm for digging deep and a flare for sharp technical communication, prioritization and organization. Together, we’ll deliver the next generation of industry-leading cloud features and help every business run on the cloud. We’ll design, develop, and deploy the most scalable and distributed platforms in the world. We’ll shape not just our own products, but the direction of the industry through our choices! · This position requires that the candidate selected be a U.S. citizen and obtain and maintain an active TS/SCI security clearance with polygraph. · Active TS/SCI security clearance with polygraph.